It’s no secret that the state of digital marketing conferences is in flux. Some conference series have become long in the tooth; others are ascendant. How dire is the situation? Whoops, I might have let the cat out of the bag. “Flux” is usually a code word for “trouble.” The old logic may be unraveling. Consider the underlying purposes of conference events. Functions include networking, learning, specific training, vendor search (expo), “innovation and thought leadership,” or news of a large player’s plans. Some events are aware of these priorities, debate them internally, and calibrate constantly. Others, sadly, just keep gearing up for the next date, assuming that everyone “must” attend their prestigious gathering. Done poorly, the least practical events (the “visionary” thought leadership conferences) are the worst deal for conference-goers. While every conference organizer might wish to be TED, not many attendees want to shell out to be lectured by bitter, unpublished execs. Despite the fact that the Old Media model is precisely what isn’t working anymore at the conferences themselves – in some of the substantial strategy advice at some events, we’re still being lectured by Old Media. This month, one good-sized conference in Canada – a “premier, digital marketing conference” – is featuring a talk from a veteran agency executive stating that “digital marketing is dead,” having “imposed itself” on advertising. Her abstract goes on: content isn’t king; big data is not ‘the savior’; and “the consumer is NOT in control.” Everybody off the Cluetrain. The party’s over. The “anti-digital marketing” rant, delivered to an audience of digital marketers, has the distinct tone of someone about to be hit by a bus, starting an argument with the bus. I think I’ll pass. Conferences – the leading conferences in SEM and digital marketing being no exception – have done many things well. I marvel at the impressive names we’ve been able to bring into (supposedly highly tactical, meat-and-potatoes) search marketing conferences over the years. Visionary marketing professors with actionable study data; high-ranking executives from Yahoo, Google, and Microsoft; leaders of large enterprises; and whip-smart practitioners who weigh in with advanced tactics. Not too much wrong with any of it. At ClickZ Live Toronto this spring – precisely my umpteenth Toronto-based digital marketing conference – we enjoyed the gamut, as usual: including Kirstine Stewart of Twitter Canada talking high-level concepts and introducing us to hot new Twitter ad formats. Fun and educational in spades. But it’s getting harder to run the larger, for-profit events, say insiders. That provides us with more choice, and less community. Sad. So allow me to reminisce a bit. New developments beget new types of events. Current upheavals in the environment for digital marketing are no different qualitatively than the original advent of SEO, display ad technologies, and PPC. From those, conferences like SES, Pubcon, and ad:tech were born. Based on the decline of traditional SEO tactics and the rise of a more mature online experience, we’re now going to see more social media events, content and inbound marketing events, big data events, e-commerce-only events, even specialized PPC events. Analytics events will continue to evolve, but some of their content should simply be baked into practices across various disciplines. Specialization is nice, but a practical question for attendees and companies is going to be, how are we going to cover everything we need to know? Most companies can only afford to send people to one or two events a year. That’s why I used to be so impressed with Aaron Kahlow’s Online Marketing Summits (sold in 2011). There’s a big appetite for that type of conference. SEM conferences were a gold rush in those days. All those naïve search engines to be “optimized for.” Easy money on the table. Most of us sensed, though, that the economic opportunity would grow much larger in the future. Then, folks were so fascinated by search engines that they’d actually pay to listen to the information retrieval science part of it! Yes, there was a “research” track at Search Engine Strategies. The converse was true, too. User experience conferences invited speakers to explain the SEO and SEM side to their attendees, given the great demand. As a speaker, I was fortunate to meet people like conference organizer Jakob Nielsen and information scientist Peter Morville. A clever engineer I met over dinner in 2004 regaled me with his awesome SEO tricks, deployed for his wife’s site (a psychologist). He’d interlink pages with “invisible one-pixel gifs” adorned with keyword-rich anchor text. Of course! I assured him that even then, search engines were already onto such tricks. Through that noblest part of the search engine punditry profession – the info retrieval geek side – I became aware of amazing experts like Chris Sherman, Gary Price, and Tara Calishain (who was author, in 1996, of – get this – The Official Netscape Guide to Internet Research). I’m still grateful to Tara for recommending me to an acquisitions editor at McGraw-Hill, which led to my 2005 & 2008 publications of Winning Results with Google AdWords (and a chapter in her cool compilation Google Hacks (2002, 2004, 2006)). As for Search Engine Strategies (later branded to “SES,” in the vein of “KFC”), certain figures (beyond its founder) seem synonymous with its past. Jill Whalen, always closely identified with the “white hat” perspective on SEO, up and retired from SEO last year. It seems you can get sick of SEO. Some early speakers have gone onto great heights, but most have just settled into normal, productive (and very interesting) professional lives. One friend specializes in expert testimony at the burgeoning number of legal cases involving search engine marketing. No surprise to anyone who knows her, Jessie taught the 7:00 a.m. yoga class at last year’s SMX West. It almost goes without saying that Danny Sullivan (original founder of Search Engine Strategies) and Chris Sherman (an author, expert, and world traveler par excellence) are now successful partners at Third Door Media, the company that split from Incisive Media, the owner of SES, ten years ago. Third Door runs the SMX conference series. It has also recently launched MarTech, a conference that addresses the exploding field of marketing automation. Thanks to Danny, I spoke at my first Search Engine Strategies conference 12 years ago. I was fortunate enough to be in on some early panels on “Paid Listings.” The next couple of years were bittersweet in terms of content. Attendees loved PPC, but came with resentments that these clicks were more costly than “free” SEO. They also came angry about click fraud, and especially about low quality publishers in the burgeoning Google Display Network (then called the content network). We provided a lot of scope for advertisers to make their views heard. The industry was on fire then. Already, conferences were bulging with attendees. Financial analysts were crawling all over digital marketing technology. Yet the key players were humbler. It was nothing to sit on a session about “link building” with Marissa Mayer, for example. Starting with SES San Jose in summer 2002, I spoke at 48 consecutive SES conferences in North America, plus some international events. For a few years, I also had the opportunity to create the program as Chair of SES Toronto. Favorite memory? Possibly, convincing Seth Godin to keynote the Toronto show, and receiving his surprisingly complicated “rider”. (Water, mainly. No blue M&M’s or anything like that.) Seth won raves from the Toronto audience. He touched a nerve, railing against complacency, old media, and slow-moving corporate decision-making. Seth was easily the best-rated SES speaker of all time. It’s hard to predict how much longer good old SES, or its new brand, ClickZ Live, will carry on. Its best days are behind it. We hear rumors that parent company Incisive Media has continuing financial problems. Fact is, many face-to-face events are declining. I’d chalk it up to one main reason: saturation. There are only so many events the marketplace can support. They can’t all win. One day it’s fine and next it’s black, etc. The blow will be far from fatal. The “third-party conferences” will evolve. Presumably someone out there is still looking for high-quality, third-party content. My sense is it will need to be obsessively great content. Truth-telling content. My 48-SES speaking streak was broken last fall when I chose to speak at SMX in Milan instead of SES Chicago. (On Oct. 2, I’ll see you at SMX East in New York.) Along the way, I’ve learned a ton. Next time, I’ll share not five, not ten, but twenty-one takeaways. The conference circuit can be a whole universe unto itself. I’ll make the case that it is indeed worth your time to speak or attend. 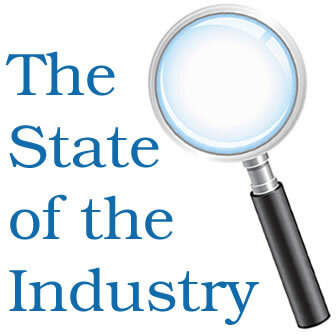 Editor’s Note: Do you have something you want off your chest in our State of the Industry Column? Contact us! Well done, Andrew! Many insights! What a trip down Memory lane. Little known bit: I was working for Alan Meckler in the Internet World days, promoting the conferences worldwide. One of the other elements of change in the conference world I too have been a part of for so long is this: The practice itself has become complex — it truly it takes a village of expert disciplines to pull off a great campaign now. My fondest hope is that digital marketing takes its deserved place as mainstream and we won’t need to make such distinctions anymore. Congrats on a great thought piece. Thanks for that, Anne. I recently heard from an old friend of ours who works at Alan Meckler’s current company. He’s still working in the events and content space and continuing his long track record of success. Amazing. Although the piece above was a bit long, in a couple of places I over-edited. There was one part I wanted to bring back in. Seth didn’t just connect with our audience for the garden-variety reasons I mentioned. It was also this: he knows where Highway 11 is. Highway 11 (and 400) are the primary two ways you get to Ontario cottage country. For Seth, the journey was to a summer camp he attended in his teens. To have this famous New Yorker connecting with us about Weber’s hamburger stand and the gift shop on the highway that’s good enough that people take the little walking bridge to cross over if they’re going in the wrong direction on the divided highway… a great lesson in “how to do it.” That’s how the great ones do it — no matter how busy or how well-known, they take the time and trouble to connect. Connection established… that’s when people really lean in and listen.